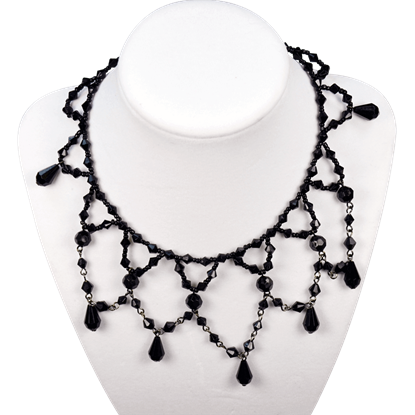 The choker is an essential piece of gothic jewelry for darkly elegant ensembles. 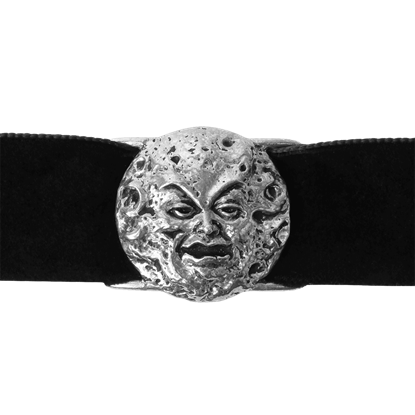 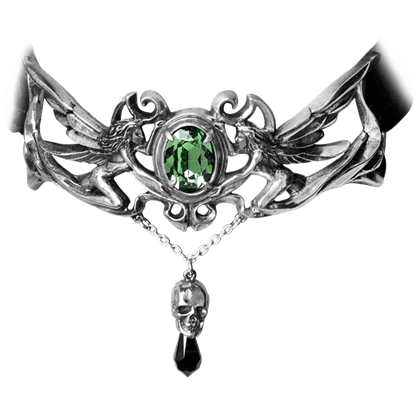 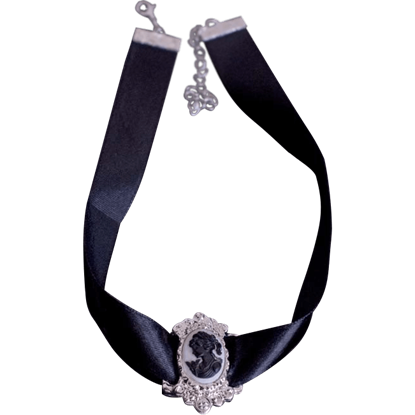 Our selection of gothic chokers includes stunning designs crafted from fine English pewter, sparkling gemstones, intricate lace, sleek satin ribbons, and other excellent materials. 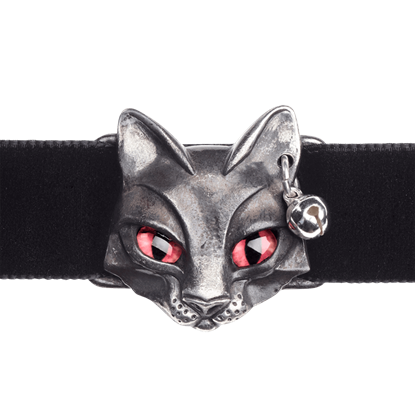 These goth chokers fit closely around the neck, providing a striking look to any outfit. 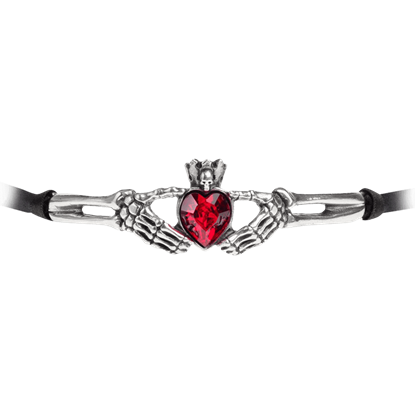 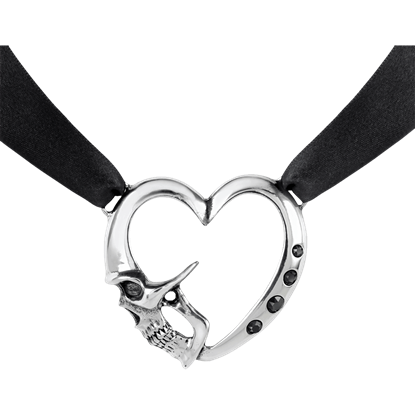 These ladies chokers display designs with skulls, cameos, serpents, roses, ribbon bows, hearts, and other bold icons. 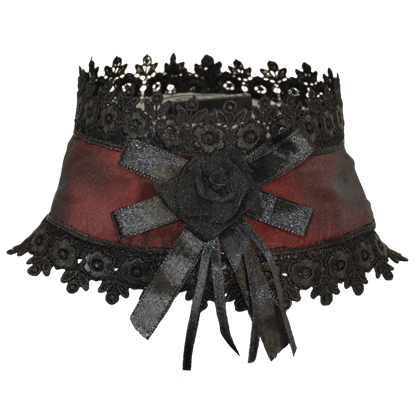 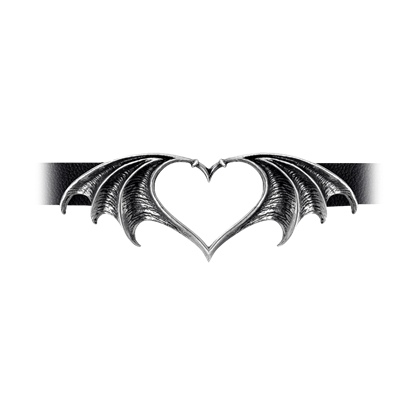 Perfect for gothic Victorian fashions or modern formal gothic apparel, these excellent gothic accessories will provide the perfect finishing touch to your look. 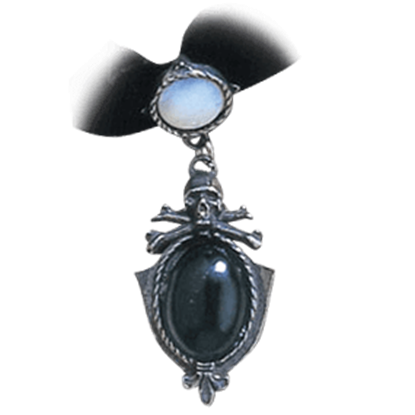 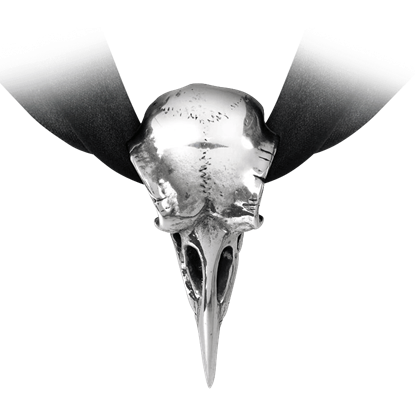 Our gothic jewelry also makes a stunning gift! 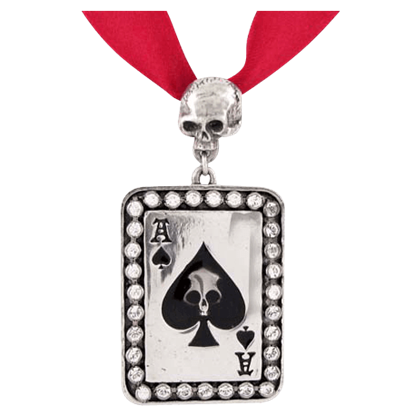 Be sure to check back regularly to see the latest additions to this category.